How exciting is the idea of making your own facewash? Damn exciting right!!!! Being a DIY freak I always wondered whether one day would I make my own body butter, facewash, body lotion etc? 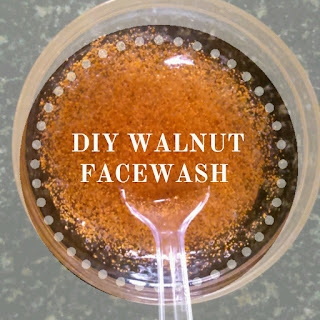 Today's post is about DIY walnut facewash. 1) Take a clean vessel or glass bowl. Make sure no water content is there or the bowl is not moist. 2) Pour the facwash base into the bowl. I poured 50 ml. 3) Take a little quantity of walnut powder and add it to the base. I added 1/4 of a spoon as I didn't want more scrubbing effect. If you want more of a scrubbing effect add a little extra powder according to your wish. 4) Mix well to make sure no bubbles are formed. The more foam or bubbles are formed during stirring the longer it takes the facewash to set. If you take a large quantity for mixing mix slowly and steadily. Small quantity gets easily mixed. 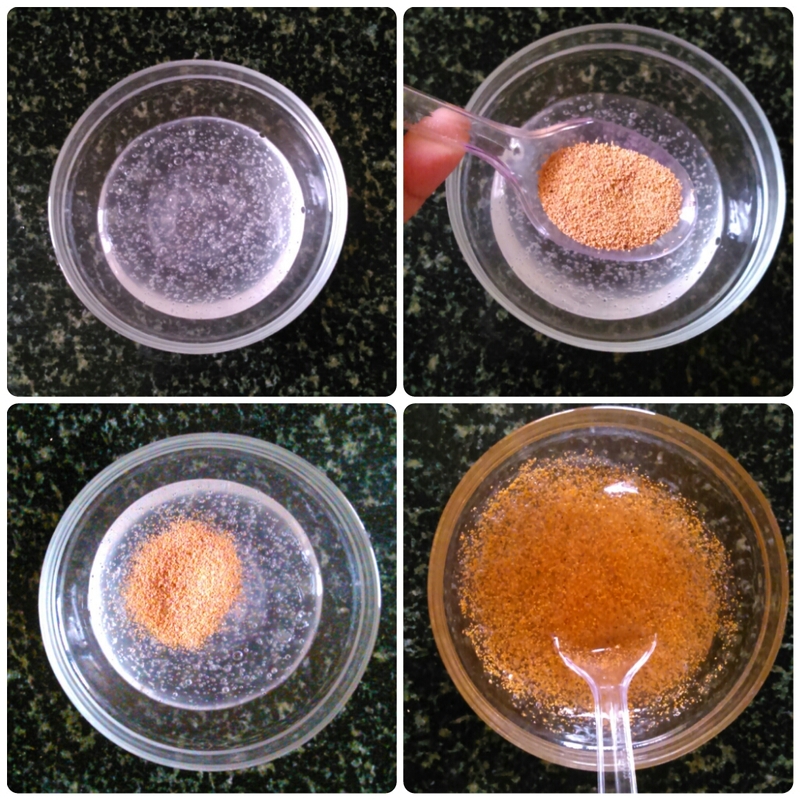 5) Plus instead of using walnut powder you can experiment using other powder provided it is not moist. Foams well in hard water too. Gets washed off easily without leaving a residue. Recommendation - Yes definitely recommended if you love DIY. Tell me whether you would love trying something like this. Plus leave your urls for me to checkout.